Seemingly every week, enterprising food joints seize on a random holiday and offer free things to the masses. We can't predict when KFC will give away free Double Downs for Cholesterol Awareness Day, but we can predict these awesome, annual freebie holidays. 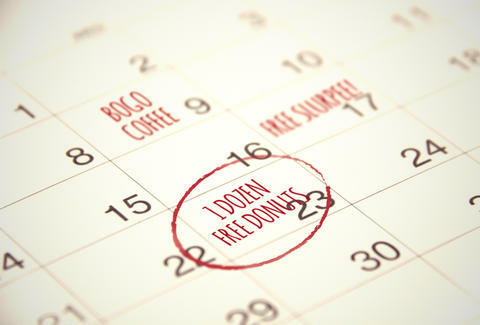 So, to help you combat the aftermath of Tax Day taking all your coin, these are the dates you need to mark on your ultimate free food calendar -- which you can print out here! Corporations know you're hurting from last night's Andre on January 1, so a proud few step up and serve free coffee on New Year's Day. Your best bet is to try fast-food spots along turnpikes like Sheetz, which are there to keep you on the road, not asleep on the shoulder. Valentine's Day, as we hope all of you with significant others know, falls on February 14, bringing deals from all sorts of chains. Boston Market'll hook you up with a free dessert when you buy a main course, while Starbucks offers buy-one-get-one free coffees. Qdoba also has a BOGO deal on meals, provided you kiss someone in line (Note: do NOT try this on the cashier). IHOP's National Pancake Day is tied to Shrove Tuesday, which is basically another name for Fat Tuesday, only breakfast-specific. It usually goes down in February, when you can grab your free shortstack from the chain, who've been handing out comped 'cakes since '06. In honor of the first day of Spring (March 20th), Philly favorite Rita's Water Ice hands out free cups of water ice to their freshly-thawed customers. To make up for the bank accounts you just bled for Uncle Sam, several companies offer Tax Day freebies on April 15th. There are free Cinnabon Bites at Cinnabon, free curly fries at Arby's, and even free small popcorns at AMC Theatres, provided you feel like shelling out another $13 for the movie ticket. 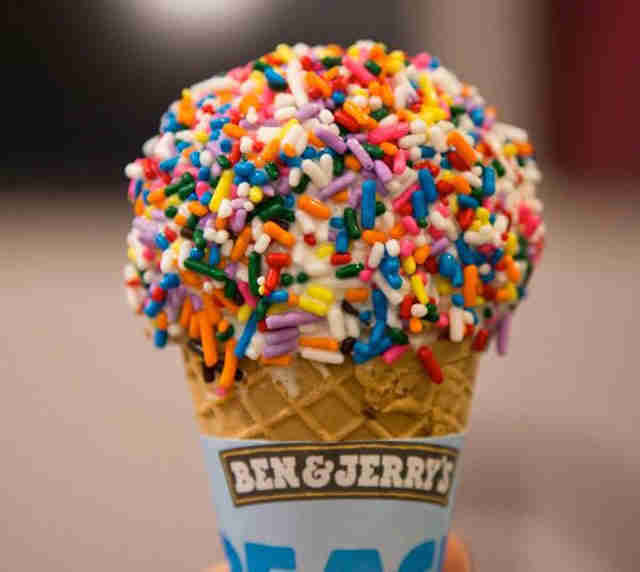 Vermont power-couple Ben & Jerry also gives scoops on Free Cone Day, which usually (but not always) lands on the fourth month of the year. It's Mother's Day this month, so take her to TCBY for some free fro-yo. ... And then take Dad to TCBY for the same deal on his day, because you're wholly unoriginal. 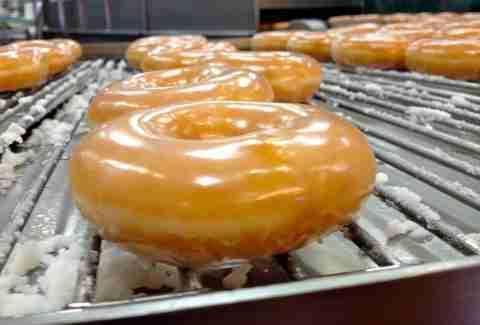 Or bring the entire family out for National Donut Day, landing on the first Friday of June. Krispy Kreme will give each of you a free donut, while Dunkin' will give you a similarly comped donut, provided you buy a drink first. 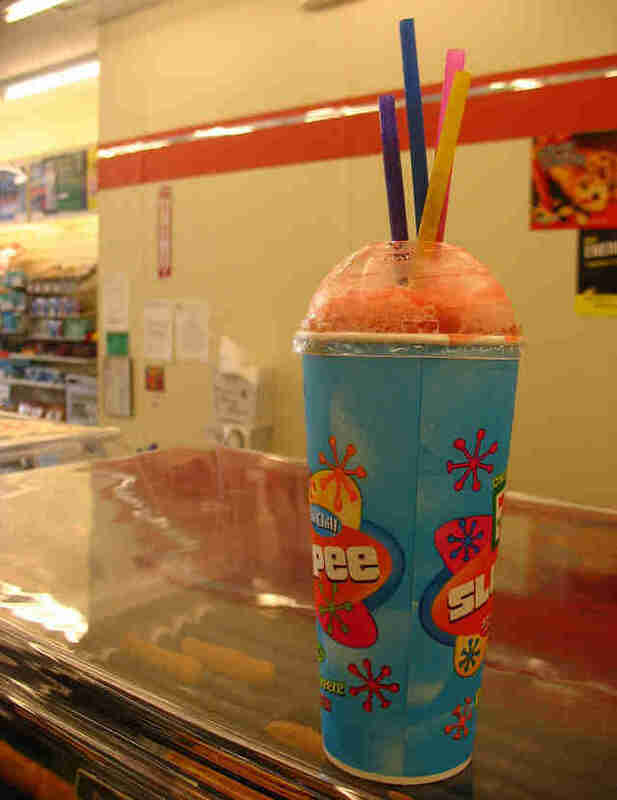 Because they throw the best stampedes ever, 7-Eleven historically offers free Slurpees on July 11th -- or 7/11, for those of you playing at home. That same month, you can score a free Chick-fil-A meal on Cow Appreciation Day, provided you dress like a cow. Obviously. Date floats, but start monitoring the Chick-Fil-A site in the middle of the month. Though it kicks off in July, Ben & Jerry's glorious ice cream truck tours chug right along through currently unspecified dates in August. The truck hits a slew of cities over those two Summer months, and if you track it down, you get a free cone. Pinpoint its exact location by following the truck on Twitter. Important religious holiday Talk Like a Pirate Day somehow managed to attract corporate attention in the last few years, resulting in freebie deals at Krispy Kreme and Long John Silver's. Roll into the former on September 19th and you'll get a free donut. Stop by the latter and you'll get free fish. Just make sure you add a bunch of "arggg"s and "matey"s to your order, or else you'll walk away booty-less. In a bid to earn the title of "Most Generous Chain", Krispy Kreme is giving away free donuts again, this time on Halloween. The catch is you have to be costumed, so make sure to grab your finest $3 Scream mask or hilarious "Cereal Murderer" homemade get-up on the way there. A slew of spots offer free meals to current and former soldiers on Veterans Day, including T.G.I. Friday's, Applebee's, Golden Corral, Olive Garden, and Denny's (where the deal is specifically all-you-can-eat pancakes). Come November 11th, and enjoy your free food salute. Not a member of the armed forces, but really love getting up at 3:00am to fight strangers for toasters? Fred Meyer gives out free coffee and donuts to Black Friday shoppers. Make sure to mark down the fourth Friday of the month accordingly. Commemorate National Cookie Day on December 4th at the place that toasts everything, including the baked goods, Quiznos. Free cookies await, but keep an eye out for those terrifying "spongmonkeys". Finally, ring in the booziest holiday of the bunch, Repeal Day. Every December 5th, bars across the country celebrate the end of Prohibition with deals ranging from nickel beers to free apps. Make sure to check with your local bars closer to the date. Kristin Hunt is a food/drink staff writer at Thrillist. Her scars from the last Free Slurpee Day are just now healing. Follow her to endless food swag at @kristin_hunt.